With 1 plate and many diagrams. 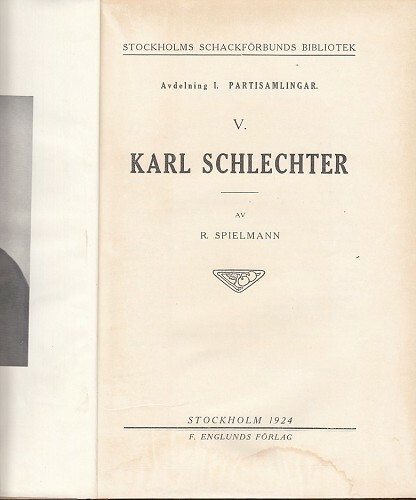 "Stockholms Schackförbunds Bibliotek" Avdelning I. Partisamlingar. 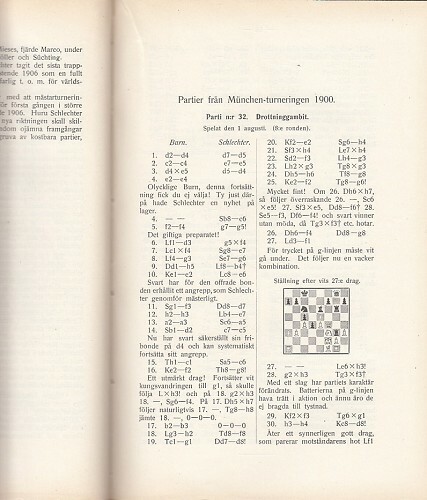 V. Interesting biography of the important Austrian grandmaster Karl Schlechter (1874 - 1918) with many games and 17 problems. 175 pages, table of content. Brown hardback with gilt title on spine. 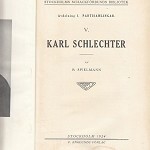 Stockholm, Englund, 1924. 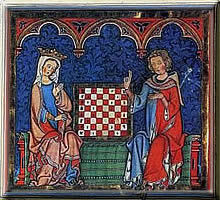 L/N 3127. 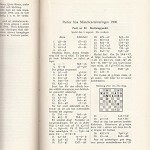 Kieler Schachkatalog 5719.